Are you looking to help women and their partners experience a better pregnancy and birth? 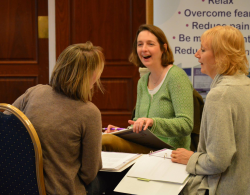 Whether you are looking to provide antenatal classes to a group or to private couples, the Online Natal Hypnotherapy Training will provide you with the skills, knowledge and confidence to teach parents all they need to know to feel prepared and ready for birth. 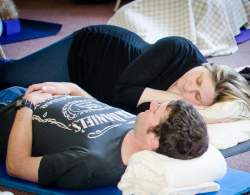 Once you begin running classes you will be required to buy the Natal Hypnotherapy Class Resource Pack (£15) for each participant. NH takes no other percentage or fee per booking.